3 Bedroom Semi Detached House For Sale in Stoke-on-Trent for Offers in excess of £200,000. A much larger than average, three bedroomed semi-detached property located in one of Alsager's most desirable locations, within walking distance of Pikemere Primary School, Alsager High School and the village centre. 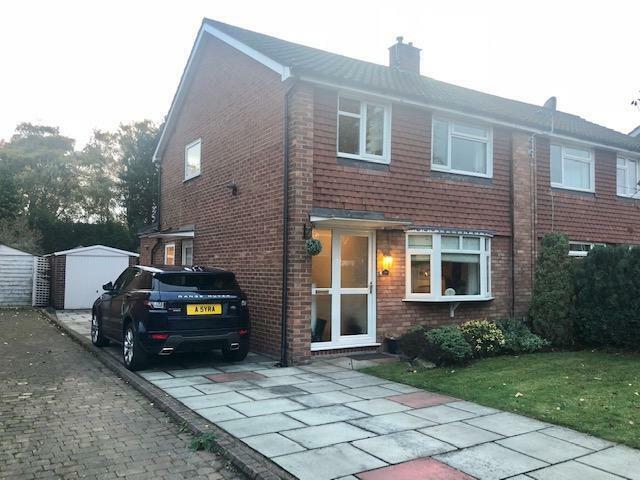 Internally the property has been well maintained throughout and offers exended living accommodation comprising, lounge, dining room, family room and a great size fully fitted kitchen. upstairs you will find a modern shower room and three really good sized bedrooms. Externally, you will be amazed at the size of the large rear garden which is fully enclosed . There is also a long driveway providing ample off road parking and a single detached garage. Viewing recommended. Fantastic range of eye and base level oak units with chrome handles, extensive rolltop worksurfaces, built in stainless steel single bowl single drainer, space and plumbing for dishwasher and washing machine, space for cooker, UPVC double glazed windows to rear and side elevation, ceramic tiled flooring, door to under stairs storage, coving to ceiling, ceramic tile splash backs, UPVC double glazed door with obscure glazed panel giving access through to side driveway leading to the garage and garden. Fully tiled room with a contemporary white suite comprising wash hand basin inset to unit with storage underneath, WC, double width shower with enclosure with chrome shower over, Obscure UPVC double glazed window to rear elevatio, extractor fan, wall mounted chrome heated ladder towel rail.